Learn about Reiki, a wonderful universal healing energy that has been used and applied successfully all over the world to heal physical and emotional imbalances. Reiki is a Japanese form of hands-on energy healing, discovered by Dr. Mikao Usui in 1922. 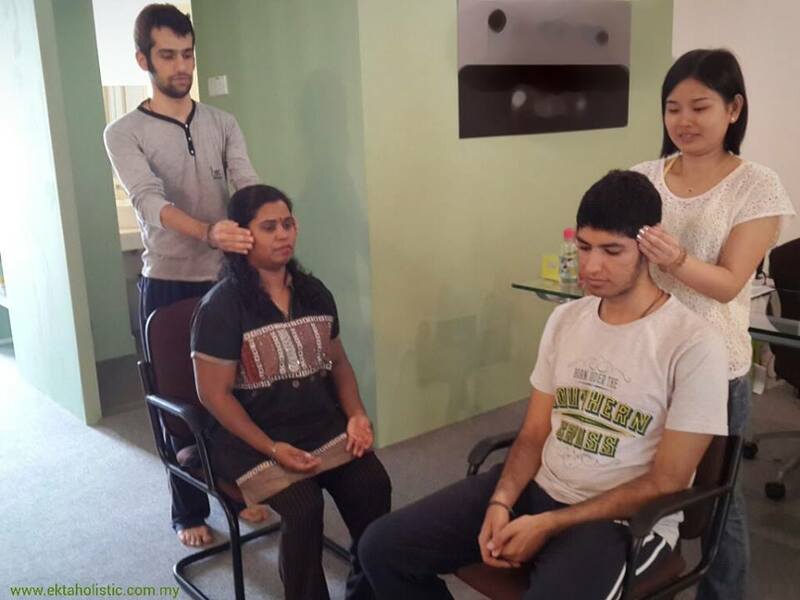 It is a holistic therapy for self-healing and supporting others on physical, mental, emotional and spiritual levels. It uses a technique commonly known as “palm healing”, as a form of complementary and alternative medicine, and sometimes classified as oriental medicine by some professional bodies. By ‘laying on hands’, the universal life force energy(Reiki) will be transferred through the practitioner’s palms to the recipient, creating a state of equilibrium and allowing relaxation and healing to take place in both the practitioner’s and recipient’s body, mind and soul. What is so miraculous about Reiki Healing is how easily it is to attain the ability to use this effective and wonderful healing energy. Where some energy-based healing arts requires deep concentration and years of practice, the ability to channel Reiki energy is simply passed on from a Reiki Master to a student through a peaceful attunement process taking just a little time. Reiki Level I Course teaches you how to bring greater healing into your life, as well as offering healing to others around you. 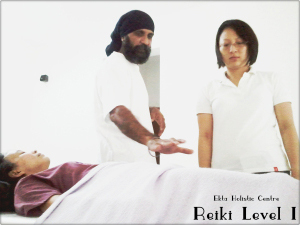 The Reiki Level I Course is a combination of lecture, discussion and experience. You will experience how to give and receive complete Reiki Treatment using different hand positions and healing techniques. Reiki Level I focuses more on self-healing and how to use Reiki Energy for your own personal transformation & growth. This level is suitable for anyone without any prior knowledge and experience. You do not need any prior knowledge or experience to learn Reiki, ANYONE CAN LEARN REIKI! Whether you want to treat yourself, your family members/friends, or start your own professional practice, this half-day course will give you healing hands for a life time. Reiki is easy to learn, and learning Reiki will always enhance one’s quality of life. Reiki assumes a greater purpose, if practiced with compassion, love and wisdom; it would be a way of life rather than just a healing method. Join us today to learn about Reiki, bringing healing comforts, balances and calm to yourself, family, friends, clients and even pets. Join us in this Reiki Level I Course, and let Master Surjit Singh Khalsa guide you into this wonderful path of Reiki Healing…….. Call 012-3159389 to register now/for more information. Alternatively, click here to send your enquiries directly to our email, and we will reply and respond to your queries as soon as possible. More Facts about Reiki Energy that you may want to know! Reiki can be used on human, animals, plants or any living being. Reiki is the highest form of healing energy. It is very gentle and safe and can never cause any harm. Reiki has nothing to do with religion. It does not conflict with any religious belief therefore its teaching can be used by anyone. Reiki lasts for a lifetime. Once you are attuned to Reiki Energy, regardless of whether you use the energy consciously or not, it will always stay with you. Nevertheless, the more you practice, the stronger your Reiki healing power becomes! Once attuned, it will always be right there in your hands, 24 hours a day! Reiki can be successfully combined with other healing methods. It can be incorporated into daily life as well. Reiki does not interfere with conventional medical treatments. It actually enhances medication and assists the body to heal at an optimum rate. Many people find that Reiki is a form of divine healing which helps them to deepen the awareness of their innate spirituality. Reiki is a powerful yet gentle form of energy that can be easily channeled to yourself and others, anytime, anywhere, provided that you have undergone attunement process by a Reiki Master. Reiki is excellent for healing any physical, mental, emotional and spiritual issues of any kind and it gives wonderful results.